Mohammad is a Bedouin guide for Jordan Tracks, an excellent guide service/travel agency in Jordan, particularly in the Wadi Rum desert. 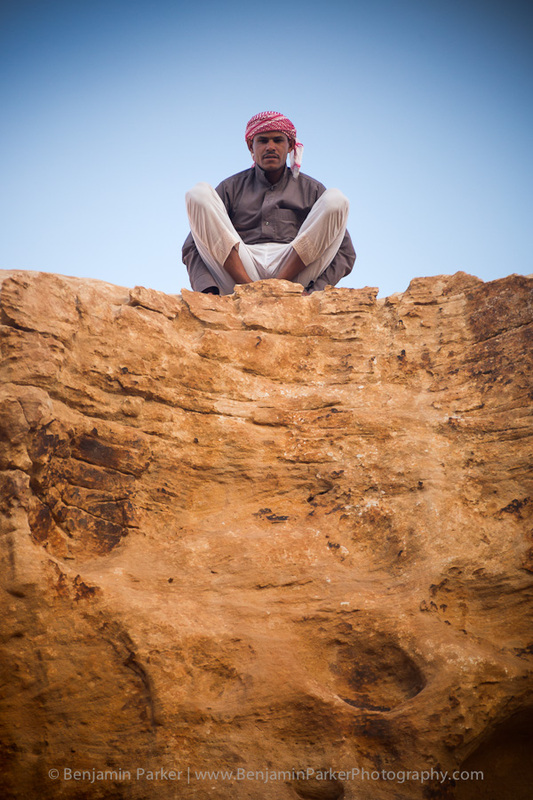 While not our personal guide, Mohammad was kind enough to allow me to take his photo while perched on a rock face above me. We spent an incredible three days in the Wadi Rum, in the company of Jordan Track's staff. Both a location and an experience that will not be soon forgotten - and hopefully soon repeated.